It’s snowing in Morzine – who’s up for a last minute holiday? We’re offering a massive 25% Discount at Chalet Chambertin on all remaining dates until the end of the season. Chalet Chambertin has been gaining 5* TripAdvisor reviews this season due to its gorgeous interior, gourmet food by Lucie the professional chef, hot-tub & sauna, exclusive driving service and amazing live-in hosts! This is the perfect chalet for a last minute ski holiday in Morzine and with a massive 25% discount you can ski perfect pistes and powder on a massive discount. The Current weather predictions in Morzine/Avoriaz! It has been constantly snowing in Avoriaz over the weekend with another 55cm predicted over the coming few days! Fly for less. Flights from £30.49! easyJet have a huge deal on flights this week! With flights as cheap as £31 – book your flights to Geneva and we’ll do the rest! Our team will book airport transfers, ski passes and dinner in town on Wednesday evening when it’s the hosts night off. 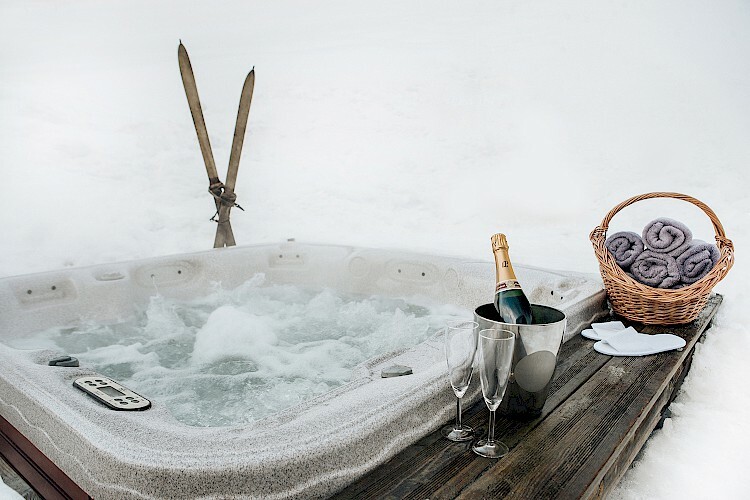 Enjoy a hot-tub before or after you hit the slopes! Keeping those boots toasty before you head up the mountain by your exclusive driver! 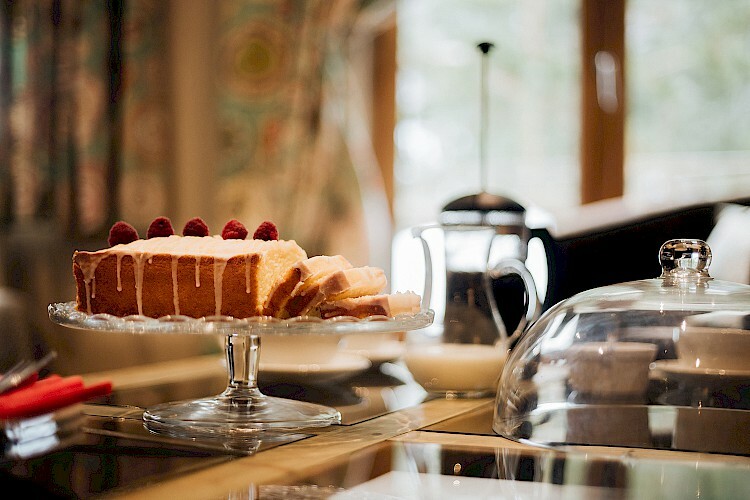 Arrive back to Chambertin and find homemade tea and cake every afternoon before your 4 course meal with wine. See more about Chalet Chambertin including more photos here.